Illuminate storefronts, signage and awnings with the chic 7" Angle Shade. Commercial light fixtures feature a solid aluminum construction on a sturdy gooseneck arm. Back plates mount easily to outdoor walls and install to most standard 4" junction boxes, outdoor weatherproof and recessed. 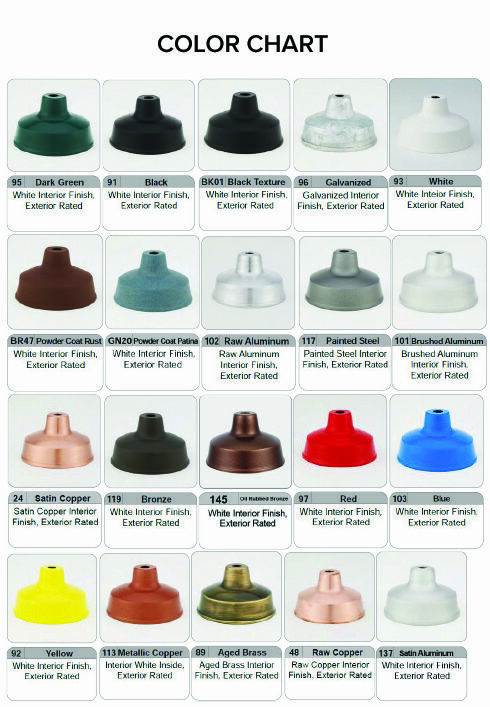 Choose from 25 powder coated paint finishes, 5 available at no addition cost. Powder coating is rust resistant for superior outdoor performance. Gooseneck lights online at Sign Bracket Store are sold standard as incandescent fixtures. Upgraded lamping is also available by request: compact fluorescent, high-intensity discharge (metal halide and high pressure sodium) or LED. To order HID, CF or LED gooseneck lighting, please call toll free for a price quote.